Decorated on both front and back. Flatware constructed of the highest grade 18/10 stainless steel. Five-piece set includes a dinner fork, salad fork, soup spoon, dessert spoon, and dinner knife. The product is tested and guaranteed for commercial dishwashers. Made in Italy. Flatware with ridged handles in a burnished-copper finish. Stainless steel. 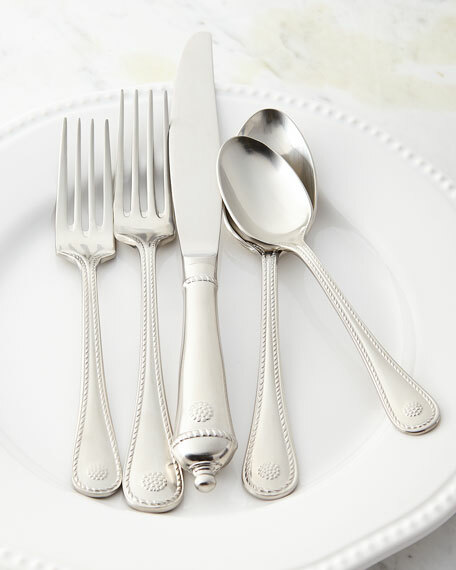 5-piece place setting includes dinner fork, salad fork, dinner knife, teaspoon, and dinner spoon. Dishwasher safe. Use mild, lemon-free detergent; dry by hand to prevent spotting. Imported. 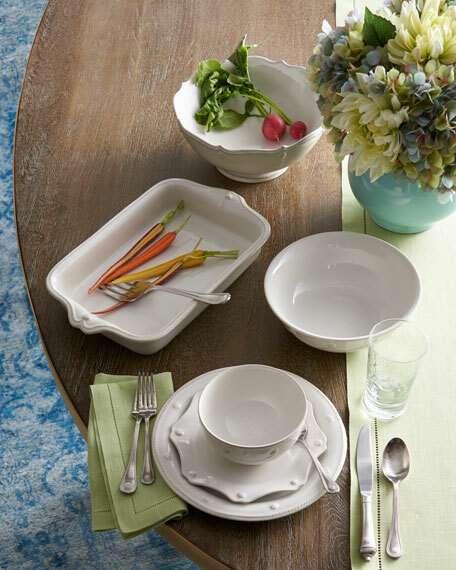 EXCLUSIVELY AT NEIMAN MARCUS Following the tradition of England's finest hotels in the early 1900s, each place setting is a mix of seven different patterns created from seven renowned English reproduction designs. 18/10 stainless steel. Dishwasher safe. European sizing. Knives have hollow handles. Imported.